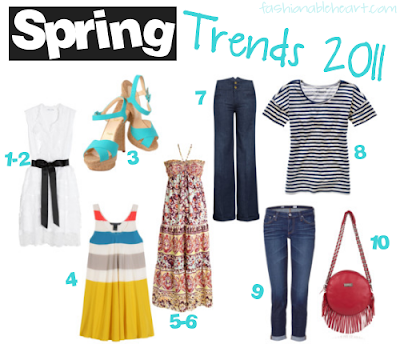 I realized that I haven't done a spring trends post yet! Sure the typical florals are in, but I'm steering my list from that. I love love love florals, but we all know those are effortless in the spring and summer months. While I generally steer from a lot of bright colors, I'm really liking them right now. It feels so fresh and vibrant! 9. Cuffed hems on jeans. Share some trends that you've seen that you're excited about! Is there anything that you're absolutely shaking your head about? 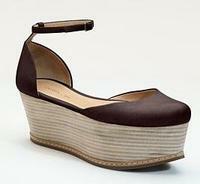 I personally hate the flat wedges that are making rounds. I just don't find them appeasing to the eye at all. I am in love with the nautical trend! and I totally agree with you about the wedge flats..
Oh I love color blocking. @Sell WoW- I'm so excited for color blocking. It's instant chic!